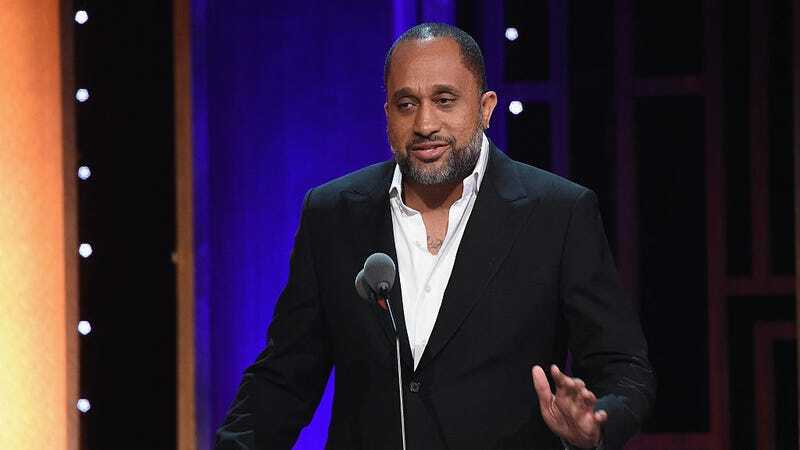 Black-ish and Grown-ish creator Kenya Barris might be looking to leave ABC for Netflix. According to The Hollywood Reporter, Barris—who has a deal producing and creating shows with ABC Studios—has been trying to get out of his contract with the network. While the practice of Netflix poaching traditional TV writers and producers from their studios isn’t a new phenomenon (Ryan Murphy recently left Fox for Netflix), reports of Barris’s exit come not long after an episode of Black-ish was scrapped because of disagreements between him and the studio. The episode, titled “Please, Baby, Please,” reportedly featured a scene clearly referencing Colin Kaepernick, in which Dre argued with his son Junior about whether or not athletes should kneel during games. There was also a scene, according to Variety, in which Dre read a bedtime story that touched on “multiple political and social issues” regarding the state of the country. ABC seems to have struggled with elements of the episode, because both Barris and the studio disagreed on the direction of “Please, Baby, Please,” and decided to pull it entirely. That ABC would have a hard time with this episode is strange considering how politically relevant Black-ish has been since its start, tackling topics like who can say the N-word and police brutality with a family-friendly touch and nuance. USA Today noted that ABC is closely connected to ESPN (as both are owned by Disney), and the latter has a deal with the NFL, and perhaps that was a source of conflict when handling the kneeling athletes plot point. On top of that, other Barris projects, like his comedy about two Republican and liberal TV pundits who fall in love, titled Libby and Malcolm, have been passed over by ABC, while another project intended to star Alec Baldwin ceased to become a real series after Baldwin exited the project once he saw the script, according to THR. If Barris went to Netflix, the assumption is that he’d have more freedom to make the projects he wants to without ABC breathing down his neck.